This second lesson details the lapse that occurred between Abu Bakr and Umar in front of the Messenger of Allah ﷺ. Their disagreement escalated into an argument which lead to verses of the Qur’an being revealed about their behaviour. These verses were not just exclusive to them, but they can be applied to anyone in the presence of the Prophet ﷺ. The lesson then continues by explaining the respect the Sahabah had before the Prophet ﷺ and how observing respect to bearers of ilm (knowledge) and gatherings of ilm is not an act of servility, but rather an essential component to ensure the knowledge penetrates our hearts. 4:40 – How would the pagan arabs regard their tribal leaders? 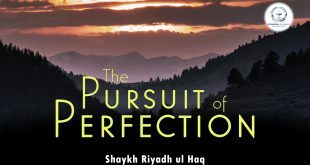 14:22 – Did Rasulullah ﷺ have a perfect life? 18:31 – Did the Sahabah sin? 28:41 – How did Abu Bakr and Umar reform upon realisation of their error? 31:03 – Who was Thabit bin Qays bin Shammas? 42:40 – Why do muslims revere the Prophet Muhammad ﷺ? 53:18 – How would the sahabah address the hardness in their hearts? 58:25 – How did the Ulama treat the ahadith? 1:05:44 – What is the importance of observing etiquette & respect in the gathering of ilm?